The IPCC scientists' own graph above is very clear that they expected a smooth 6C increase in temperature between February and May which just hasn't happened. Is it a coincidence that the 2007 IPCC report doesn't mention anything about the inconvenient 2012 temperature data? 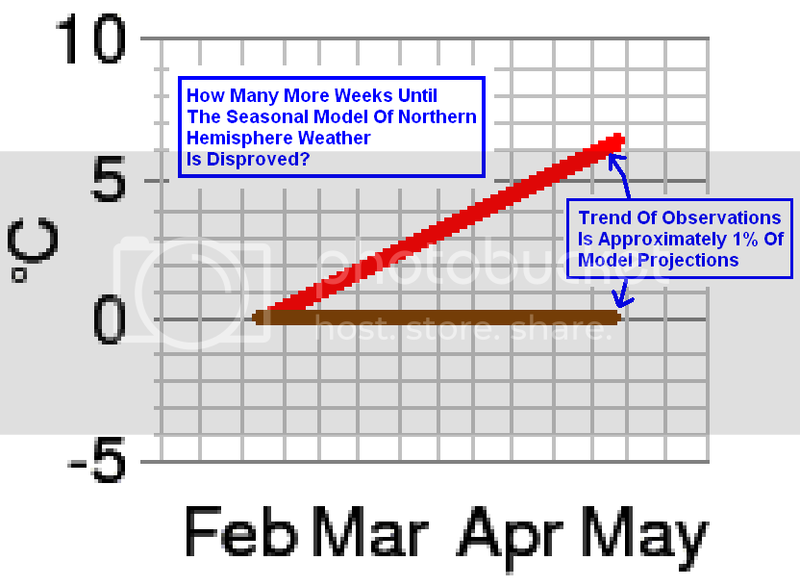 Alarmists will try to wriggle out of this by saying "blah blah blah three months is not long enough", "blah blah blah noise", "blah blah blah we are going to increase your taxes anyway", etc. I know all of their arguments - I have read most of the Internet, which is surely why Al Gore has turned down all my offers to debate him on Live TV at the Whitehouse. I even offered to waive half my usual fee. DO trust data when it is promoted by a trusted figure such as Laird Monckton, Dr Professor Ian Plimer, or anyone with Solar based climate theory. DONT trust data if it toes an IPCC line. We know the IPCC is always wrong so if data is compatible with man-made global warming in any way, it must be political data with an agenda and cannot be trusted. DONT trust nature. Nature itself will sometimes conspire with the alarmists and fabricate political data about itself. Even raw data can lie. For example some glaciers are in decline even though we should be entering an ice age. I have my suspicions that if nature could vote it would vote Obama. DO trust data if it contradicts the IPCC. 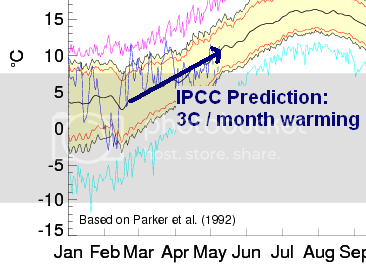 Temperature data that exhibit a lack of warming can automatically be trusted and should be used immediately. NEVER trust supposed copies of Birth Certificates issued from Hawaii. 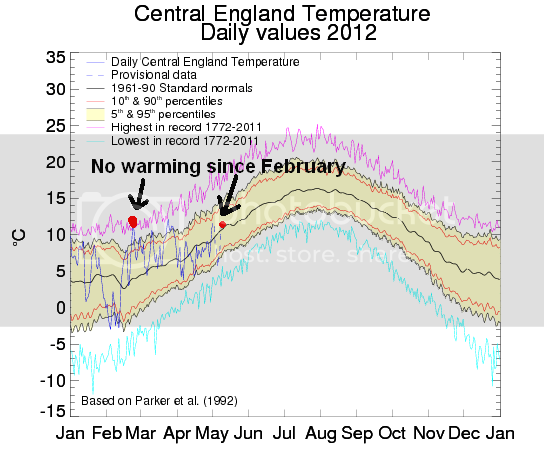 In the case of the Central England Temperature record I would not normally trust data from the Hadley Center, but in this case the Central England Temperature record makes such a convenient argument that I stand 100% behind the data. In fact I trust it even more than the Hadley Center do as I strongly believe it represents not just Central England Temperature but Global Temperature. Not of course that I concede such a hypothetical climate "science" concept as "Global Temperature" exists, I don't. But global temperature is definitely dropping and taking us into a new ice age. The UN Mandated theory of Global Warming received another set back today as dozens of murderers, who had previously accepted the theory, renounced their belief in Global Warming and signed a petition for inaction. It has long been a thorn in the side of climate deniers that so many murderers accept global warming, now the tables seem to be turning. "This is a wakeup call", said Professor Coal of the Heartless Institute, "with such an array of famous murderers rallying against the UN Greenhouse Theory of Gases, how can anyone claim the science is settled? We've even bagged the unabomber". The government response has been harsh. Almost all of the murderers on the list are either dead or have been imprisoned. "This is why we hide in the mountains - the UN are coming for us too", notes Professor Coal, "Osama Bin Laden's next video release was purported to denounce the 'infidel physics of the CO2 molecule', but it was never shown. His "Hide the decline" Pakistan tour was inadvertently canceled when President Obama ordered US Special Forces to assassinate him at the behest of the National Science Foundation.". Time for the Sunday Smear by our in-house cartoonist Tosh. 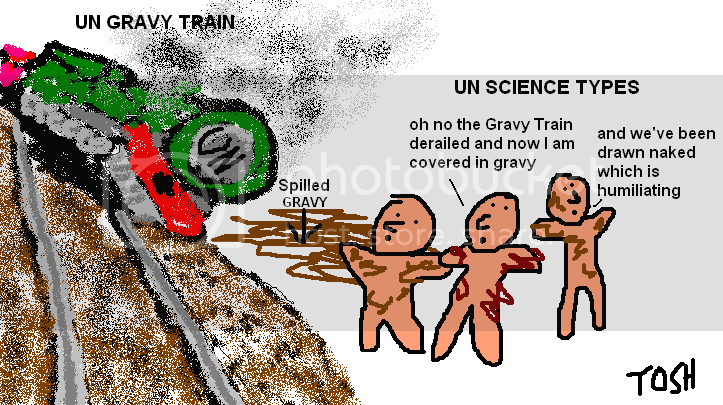 This week UN Science Types are literally exposed when their UN Gravy Train suffers a humiliating derailment. Perhaps it collided with Scientific Fact coming the other way? For crying out loud, don't sign your name under it!